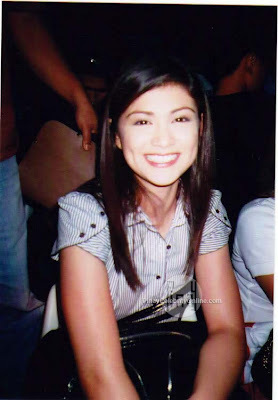 Long before Carla Abellana hit it big as Rosalinda, she was the long-time girlfriend of former Ateneo Blue Eagles hotshot and current Barangay Ginebra King JC Intal. Naturally, when they were still together, Carla would always watch JC play. Too bad they've broken up already. These photos serve as memory of Carla, the basketball fan.